The Allopurinol Alternatives Forum is a list of discussions that cover alternatives to the most common uric acid treatment. To start, many of these topics discuss reasons why allopurinol is not suitable. Then we consider the 24-hour urine test for uric acid excretion rate. Because there are 2 types of allopurinol alternatives. Uricosurics are for under-excreters. 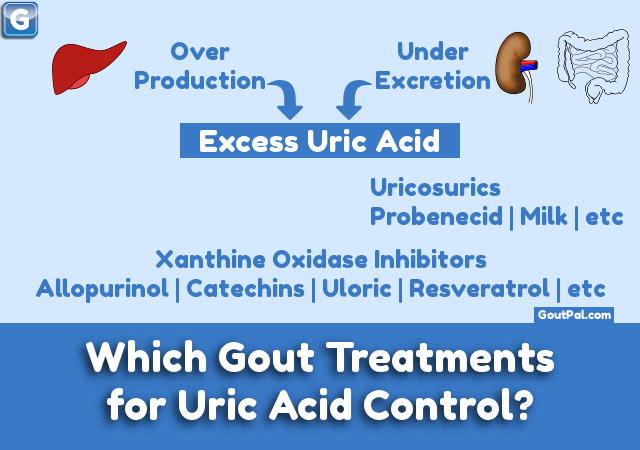 Because they encourage the kidneys to excrete more uric acid. See . Xanthine Oxidase Inhibitors (XOIs) are for over-producers. Because they discourage the liver from producing excess uric acid. See Herbal XOIs Green Tea & Resveratrol. There are lots of other natural alternatives to allopurinol. So if you cannot find what you want from those pages, ask in the forum. Any gout sufferers using Montmorillonite? What is the best febuxostat dose for gout? What are best meds for gout flare up? Any natural alternative to allopurinol?